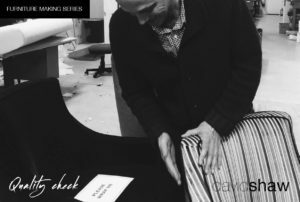 David Shaw has been designing and manufacturing exclusive quality furniture for over 30 years. Specialising in exclusive, bespoke pieces, David Shaw Limited approach their particular niche market of classic ‘lifestyle’ furniture with belief that their product is driven by their customers’ desires. Just how David Shaw Limited achieves this flexibility of design and quality is a story in itself. David Shaw started on his own – which is great for controlling the quality of the product, when you do everything yourself. This one man operation has become a sizable company employing highly skilled staff. But even with this growth, David still has a hand in every step of the process to make sure that only the highest quality is achieved in every step. The entire company at David Shaw Limited all work as a team. The company has a philosophy of low management with each employee taking ownership of their particular area, making sure that their part of the job is done to the highest possible standard ready for the next step. Even to the point where each person involved in the design and construction of any single piece of furniture personally ‘signs off’ the final article. 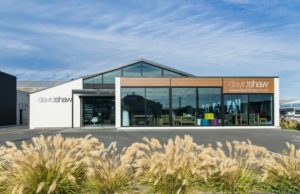 While David Shaw and Classique pieces are handmade in the New Zealand factory, David Shaw Limited stock a range of international brands. 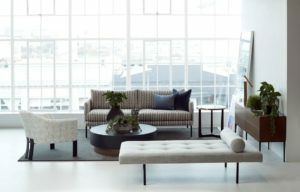 Leading Italian brands such as RODA, Henge, TONON and De Castelli as well as German JAB Furniture, French Vanessa Mitrani and Australian James Salmond. All have been carefully chosen and are award winning, bringing a fresh, creative energy to the showrooms. This quality check at every stage of the process, and a personal commitment from the line ensures that each piece of furniture can be given a ten year guarantee. The David Shaw ‘Passport to Quality’ is more than a guarantee – it’s a Total Quality Concept. We have rigorous quality criteria in place to ensure that standards are always maintained. In pre-production designs are constructed and refined using components which meet the quality standards we have set. Quality checks are made at every phase of production to ensure that each piece of furniture can be given a 10 year written guarantee. Please note, fabrics are covered under the fabric manufacturers guarantee; not by David Shaw Limited. Additionally, David Shaw Limited operate the latest computerised technology in their manufacturing process, also ensuring the best possible accuracy in the finished furniture. Innovative design for effortless living. Simple, functional, yet still beautiful pieces for those who appreciate and understand the importance of good design.